How to Avoid FOMO When Investing | Passive Income M.D. At some point in your investing career, you’ve likely heard of a stock that’s gone on a ridiculous run or a certain part of town that has now become the trendiest in the area, and you’ve kicked yourself for not investing. We’ve all been there. Well, the cliche is true: hindsight is indeed 20/20. In hindsight, who wouldn’t have purchased as many shares as they could of Amazon or Apple back in the 90’s? Knowing what I know now, I would’ve also bought as many properties as possible in certain areas of Los Angeles 7-8 years ago. However, we must realize that in investing as in life, capitalizing on every opportunity is simply impossible. Many times, we think about all the hypothetical returns we missed out on, which does nothing more for us than waste time. 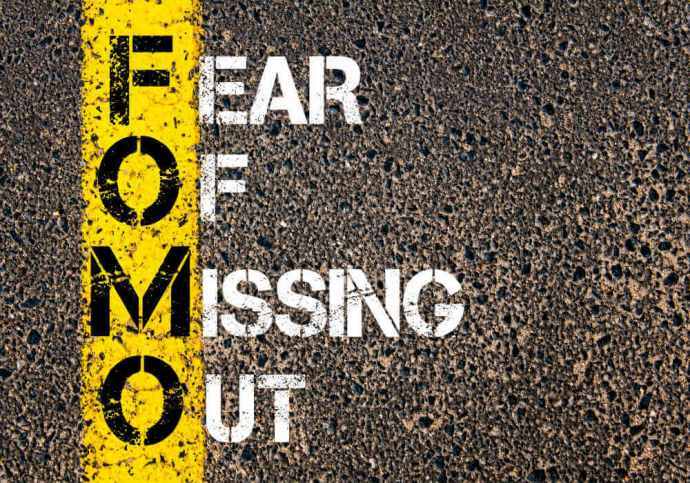 Worse, it creates this sense of FOMO (Fear Of Missing Out) that may lead us to chase the next ever-elusive “hot” stock or investment trend with limited to disastrous results. The concept of FOMO is partially associated with the social anxiety that results, in part, from watching the “highlights reel” of other people’s lives play out on social media. We all have those friends on Facebook or Instagram who seem to pack in an exotic vacation every other day. It’s hard not to feel like you’ve missed out on some similar experience. Hating to lose out on anything can inadvertently lead to trying to get a stake in everything, increasing the risk of investing in hyped-up stocks and trends for fear of missing out on a potentially big payoff rather than for legitimate value. We need to avoid this at all costs. Here are a few actionable steps to avoid acting purely due to the fear of missing out. Where do you see yourself in 20 years? How about 10, and 5? 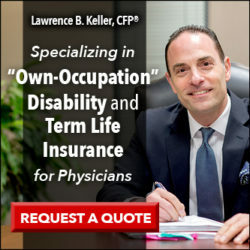 Do you plan on retiring early or do you plan on gradually retiring? How much additional income are you looking for each month to fund the lifestyle you want? 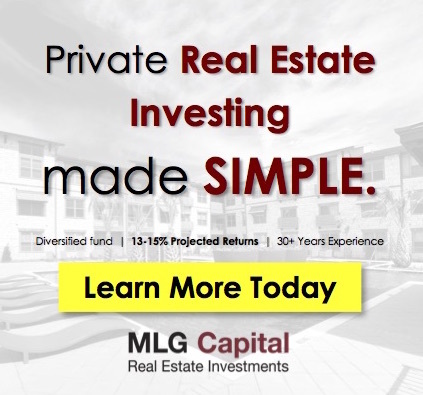 Have you created a basic investment plan? 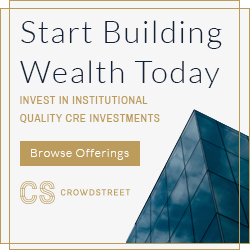 If you’ve taken the White Coat Investor course, you’ll have one by the end of it. But in short, it details what your goals, strategy, allocation, and timeline should look like. Personally, my strategy is focused on creating monthly passive income. All of our lives, we’re taught to think in terms of our monthly income, and we pay monthly expenses. Call me simple, but I think that if I make enough in monthly passive income to cover my monthly expenses, then that’s freedom to me. Of course, I also like to have some padding for changing life situations and unexpected events. 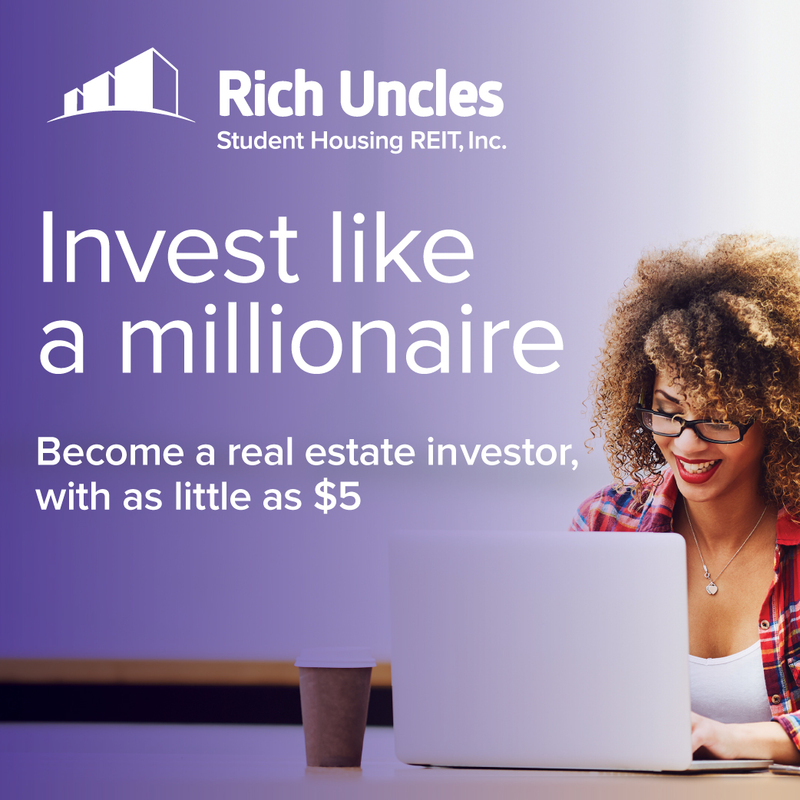 I decided to create that passive income through a combination of real estate (rental properties, syndications, funds, crowdfunding) and some businesses that produce residual income. Make sure you always do your own due diligence. I used to follow the stock pickers on TV and on investment websites. I followed their portfolios diligently and made a lot of my buys based on their advice. I felt if I didn’t follow it, I would kick myself later. I just didn’t miss out. Well, that turned out consistently poorly for me. My father also followed hot tips from friends with often disastrous results. In fact, I lost over $100,000 on a hot stock tip. Knowing how to decipher data and come up with the right conclusion before others do is a huge part of what successful investing is all about. Once information about a hot stock is online or on TV, let’s be honest, you’re the last person getting in–and that’s not where you want to be. Similarly, investing in a “hot area” of town, after the price has had a significant run-up, is not the best time to come in on an investment. Better to always be on the early side if possible. In any case, take all these so-called hot tips with a grain of salt, and do your own research. You may hear from a friend that they crushed it with a certain investment. But you never know what happens next. You also don’t know what losses they’ve incurred in the past. You may even see some of my results, like my crowdfunding results, and think you have to get in now to get the same results. Unfortunately, things never work like that. I don’t try to pretend you can duplicate my results exactly. You may do worse, or hopefully you’ll do much better. All I try to do is introduce different ways to invest and share my results. Here’s what I tell people: let others’ successes and failures inspire and motivate you to learn more. Don’t just go chasing others’ results. If you’re interested in real estate, go and learn more. See if it’s a good fit. Figure out what works for you. Most serious investors know that investing for wealth is a marathon, not a sprint. You certainly won’t hear me talking about get-rich-quick schemes. So I’ll stress this again and again: focus on the long term, not minute-to-minute. Doing the latter will drive you crazy. Plus, you probably don’t have the time to micro-manage every single investment. Come to think of it, that’s one of the things I really like about real estate. It’s a long-term play for the most part (unless you’re trying to flip). I’m building wealth steadily as my tenants pay off the properties for me, and I receive cash flow on top of it. When I invest in syndications and funds, I know it’s a long-term game and the expectation is that I’ll get consistent cash flow over that period. This mindset reduces my stress, helps me avoid serious FOMO, and also allows me to focus on other ventures. Ultimately, you may not be able to build a time machine to take you back in time to purchase the stock that got away or that property that would’ve made you millions. But you can take steps in the present to help reach your long-term goals. Invest in a way that makes sense for you and your goals and please, try your best to avoid FOMO. FOMO is a real concept and has led to a lot of bad financial mistakes because of it. I can guarantee you when the media outlets were hyping up the huge run in bitcoin with headlines showing how everyone invested is becoming bitcoin millionaires more than a few people dropped money into it right before the bubble burst. Spot on that by the time information dissimenates to the average investor it is too late and the ship has already sailed. Even if you are lucky enough to have picked some great stocks (I did Facebook and Amazon) you will still be kicking yourself when you sell them even for a large profit like I did and later found out the prices skyrocketed even more. It really is a lose-lose situation when you compare yourself to 20/20 hindsight. I find not comparing myself to others very challenging. Especially in these days of social media. I always enjoy a good article on how our brains are trying to stick it to us. We are awash in cognitive biases and heuristics that effect all our decision making. I nearly bought bitcoin at 19k but we also didn’t buy a property in an area that has seen astronomical growth and are instead renting and now priced out of the area. FOMO gnaws at you because loosing out on opportunities “hurts.” plus our recall bias and other modes of ego protection helps us forget the failures and highlight our successes! FOMO exists in social experiences AND investing! Avoid at all costs!